He's paid for 'em; he's responsible for 'em. The most effective drug to treat the disease, naturally occurring artemisinin, is in devastatingly short supply. But last month Gates-funded scientists announced that they had created the technology to manufacture artemisinic acid synthetically. Within five years, the cost of a lifesaving supply is expected to drop from $2.40 to 25 cents. The Gates' investment may save a million lives per year in Africa at a cost of 25 cents per life saved. What does Mr. Gates plan to do with all the extra people? In 1970, I rode a bus across Afghanistan with a Peace Corps worker who'd been there a year. After I commented on people drinking from sewage ditches, he told me his boss had tried to persuade the King to let the Americans drill wells to give the people a better water supply. "I can't do that," the King said. "Babies have always died; my people won't blame me when babies die. But they will blame me if there isn't enough food. How can I feed all the babies who won't die?" Disease has been very greatly reduced in East Africa. ... Forests have been destroyed, erosion increased, agricultural potential reduced, and inter-tribal warfare and horrors beyond imagination have become commonplace. ... In addition to massive tribal killings in both Uganda and Rwanda-Burundi, there has been serious deforestation which has threatened to affect the Nile flow. The King of Afghanistan knew that his country couldn't afford to have too many babies survive so he turned down the offer of clean drinking water. The Gates Foundation will be able to cure a child of malaria for 25 cents, but Mr. Hobhouse points out that it will cost $500 in extra capital investment per surviving child to grow enough food. One million more malaria survivors per year need $500 million in start-up costs to feed themselves. $500 only pays for setting up a farm, it does not include teaching children how to farm, roads, courts, electricity, medical care, law enforcement, or any other social costs. The Chinese have been acutely conscious of food shortage throughout their 4,000 year recorded history. It's hard for Americans to imagine, but over most of that time, there was essentially no technical progress. For close to 3,000 years, there were no changes in Chinese life at all. 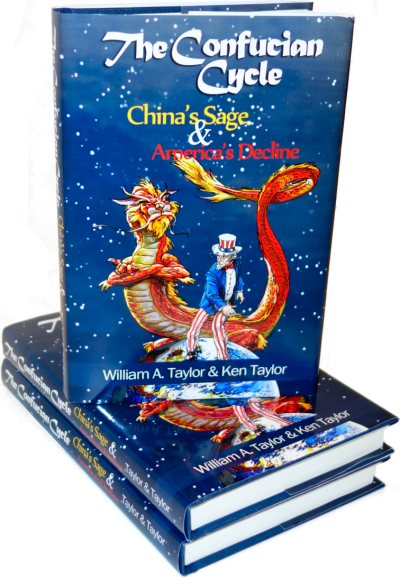 The Chinese were so accustomed to living without change that they had a curse, "May you live in interesting times." The only interesting things that could possibly happen were barbarian invasion, plague, or famine. Of the three, famine was by far the most common; Chinese always worried about getting enough to eat. Under Chinese tradition, if you interfered in fate by saving someone's life, you had to feed him until he died. What will Mr. Gates do with all the extra people? That's how many people it will take to fix Vista. Maybe he'll setup a Microsoft center there and put them all to work on the next version of Windows. The question you pose is flawed to begin with. You assume that because someone engages in a charitable act to eradicate a fatal disease, then it is his responsibility to ensure that those he helps do not die from any other causes (such as starvation) for a certain number of years (until they reach the average lifespan of a Westerner, perhaps). Yes, if Gates is successful in greatly reducing deaths from malaria, then there will be an increase in deaths from something else, perhaps starvation. And if there is later a decrease in deaths from starvation, there will be an increase in deaths from something else, perhaps cancer. People will inevitable die of something. The point here isn't to play God with the lives of poor Africans, it is to respond with compassion to human suffering and misery as God has called us to do. Yes, ultimately there must be changes in the tribal culture of much of Africa, leading to less corrupt government, more effective rule of law, protection of private property, and economic freedom. Those things should lead to outside capital flowing in, which should lead to increased wealth, more food, more education, the development of civil society, and hopefully, the eventual development of wealthy liberal democracies. But those things do not happen overnight. Let's praise, not criticize Gates for trying to do something about problems there in the short run, even if it's not the "ultimate" solution. "Responding with compassion" is all good and well provided that there is some mechanism to keep the good going. The proper question really is: should non-Africans be messing with Africans at all? The war lords and dictators have created a situtation that does not allow technology to flourish. If "good things" cannot keeping going, why reach in and provide it to begin with? If you had a terminal disease but your life could be extended a year by simply taking a pill, would you? Or would you say, "What's the point?" and choose to die today? Or if your daughter were terminally ill and were facing her last Christmas, would you buy her the toy she wanted as a gift, or would you say "What's the point? She's just going to die soon anyway. I'll save the money." The mentality that we shouldn't even bother trying to help others since we can't make the world perfect is just an effort to make ourselves feel OK about doing nothing at all. And I'm not talking about helping via huge government programs here. I'm talking about private actions, as is the case with Mr. Gates. And here's a question for you: Why are you opposed to someone else giving a portion of his own private wealth to people who are willingly accepting it? Why is this something that even bothers you? The difference here is wide. First, *I* would be supplying the pill to prolong *my* life, not depending on the foreign aid of someone who may or may not have unforeseen motives. Second, there would be value in living that added year or in buying my daughter the toy. The million-cured will add no value to their lives or anyone elses. Some of them will be killed in land skirmages or ethnic cleansings. None of that matters so long as they are paying to extend their own lives, but they are not. And I'm not opposed to Gates giving his money to the starving masses any more than I would be opposed to him burning it in his kitchen stove. I am only pointing out that that *IS* what he is doing in effect. Burn away, Gates! Nor am I bothered by it. I have only lost a lot of respect for Gates. Africa would be better served if Gates *bought* half of the continent and set up a government that could actually promote meaningful society. The only cure for Africa is a benevolent dictator which the world has never actually successfully produced. So you believe there would be value in extending your life a year but, regarding the Africans suffering from malaria, you say, "The million-cured will add no value to their lives or anyone elses (sic)". Wow. I think that says it all. Yes, exactly and it's sad that they can't add any value. I have the ability - as you do - to learn, create and trade with a reasonable assurance of progress. They do not. The only point of existence for the vast majority is to find enough bananas today so that they can live to find more bananas tomorrow. I've discussed this issue with quite a few missionary friends of mine. The verdict on non-Africans getting involved is in: nothing works. At any moment, the steps they take to learn, create and trade are destroyed through land skirmages and ethnic cleansings. That is the rule, not the exception. Non-Africans need to turn (sadly) away and let the continent do what it will. Once the inhabitants manage to build a society that can flourish, we can get involved again. Otherwise, we must rule it (at every level) so as to produce some kind of definable, expected outcome. Good morning, tame. I truly believe YOU believe what you are saying, but do you not realize just how self=righteous you are coming off? Saying that any people do not have the ability to 'trade' or 'farm' or any other such thing. Maybe a Person does not have that ability, but to say an entire people don't leads me to suspect you feel superior to these folks. Maybe it's just they did NOT have the advantages you did. And to deny them the life-sustaining medicines, seeds, and/or tools to even live another year is what I would call inhuman...let alone anti-Bible. The Bible teaches charity and kindness...not to let children starve. Peace. I'm not "denying them" anything at all. Their society denies them those things. History has shown, over and over, that because there is no rule of law in Africa the people cannot survive in one way or another. Is Bill Gates going to establish rule of law? Can he?